In a report published early online that will appear in the September issue of the Journal of Clinical Investigation researchers concluded that vitamin D may be an effective treatment for preventing or treating allergy to a common mold, Aspergillus Fumigatus, that can complicate asthma. Although this fungus is one of the most prevalent it usually is not associated with diseases but in asthmatics and patients with Cystic Fibrosis it may cause significant symptoms. Focusing on patients with Cystic Fibrosis who more often develop severe allergic reactions Studying two groups of patients with cystic fibrosis they found that when colonized with A. Fumigatus only one had the severe allergic response. The difference was in the level of vitamin D in the blood. By adding vitamin D they were able to substantially reduce the production of proteins driving an allergic response and also increased the protein that promoted tolerance. A clinical trial is planned to see if vitamin D can be used to treat or prevent the allergic complications of asthma and Cystic Fibrosis. Research to be published in the American J of Respiratory and Critical Care Medicine and identified in Science Daily concluded that the use of acetamineophen even on a monthly basis will more than double the risk of asthma, and yearly use may increase the risk by 50% when compared to those who do not use it among 13 to 14 years old adolescents. Two written and a video questionaire were administered to over 300,000 thirteen and fourteen year adolescents in 113 centers throughout 15 countries. They were asked to quantify their use of acetamineophen as none, medium or high depending upon using none, using once a year, or at least once in the past month. They were also asked to identify their asthma and eczema symptoms. Results show that the risk of asthma and eczema for medium users was 43% higher than non-users and for high users was 251 times the risk of non-users. In addition, the risk of rhinoconjunctivitis was 38% higher for medium users and 2.39 times higher for high users. The risk for eczema were 31 percent and 99 percent respectively. Another study to be published in the American J of Respiratory and Critical Care medicine showed similar associations. Further studies are needed to confirm this association. In a new study reported in the American Journal of Epidemiology researchers concluded that children living in damp, water damaged houses may be more likely to develop nasal allergies than other children. In the study that followed children over time 16 percent of the children whose parents reported dampness in the home received a diagnosis of allergic rhinitis over the next six years compared to just under 12 percent for children whose parents reported no dampness problems defined as no visible signs of water damage to the ceilings, walls or floors, and no visible mold or mold odor in the home. Factors such as social class and second hand smoke were also considered but the dampness remained linked to the risk of allergic rhinitis. In addition, children whose parents reported mold or water damage in the home at the beginning of the study were 55 percent more likely than other children to develop allergic rhinitis connected to any allergin and not just mold. The researchers concluded that parents should look out for water damage and repair as soon as it occurs. Guests for the upcoming Holistic Health Show left to right are: Dr Allan Stillerman, Dr Terrawong Kasiolarn, and Mr Dan Chapman. 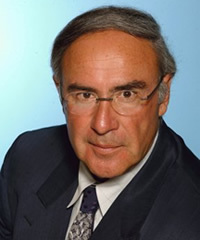 Dr Stillerman grew up in South Africa and graduated from the University of Witwatersrand Medical School in Johannesburg and came to the United States in 1977 where he completed his internship and residency in pediatrics, and fellowships in allergy and clinical immunology, pediatric pulmonary disease and pediatric clinical pharmacology. He joined the Allergy & Asthma Specialists, P.A. in 1998. He is Board Certified by the American Board of Allergy and Immunology, and Board Certified by the American Board of Pediatrics. He is a Fellow of the American Academy of Allergy, Asthma, and Immunology; a Fellow in the American College of Allergy, Asthma and Immunology, a member of the American Thoracic society; and a member of the American Academy of Pediatrics. He is an Adjunct Assistant Professor of Medicine, U of Minnesota, and Department of Medicine: Division of Pulmonary, Allergy and Critical Care and frequently instructs medical students and residents on clinical management of asthma and allergy diseases. He also lectures extensively both regionally and nationally in the fields of asthma, food allergy, anaphylaxis and allergic rhino-conjunctivitis. He serves on an advisory board of pharmaceutical companies on these conditions. Dr Stillerman conducts research at the Clinical Research Institute, Inc of Minneapolis and Plymouth as a Principal Investigator in the fields of asthma and clinical rhino-conjunctivitis. He is a medical advisor to the Board of Anaphylaxis and Food Allergy Association of Minnesota and has testified in the Minnesota Senate and House of Representative. 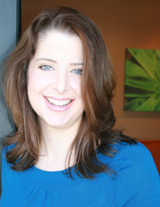 Dr Kasiolarn is a Certified Naturopathic Physician with additional certifications in Acupuncture and Integrative Medicine. He received his baccalaureate degree with honors in biochemistry from Arizona State University and his doctorate in naturopathic medicine and masters in acupuncture in 2005 from Bastyr University in Seattle, Washington. He is a member of the American Association of Naturopathic Physicians (AANP). in virginia. Prior to working at NOVA, Teerawong served as the naturopathic resident at the University of Bridge[port College of Naturopathic Medicine in Connecticut, Yale Prevention Research Center, and the Integrative Medical Center at Griffin Hospital, a teaching facility affiliated with Yale University. He continues to integrate conventional and naturopathic medicine for acute and chronic illnesses and provides frequent talks about health promotion and natural treatments to the general public at the Integrative Medical Center. Mr Daniel Chapman is Founder and CEO of Redd Remedies with origins dating back to 1961 when his family opened their first Sunrise Health Food store in Roseland, Illinois. Redd Remedies has evolved as a leading natural health supplement provider and an advocate for a holistic approach to wellness. Today they have six retail outlets and a nationwide distribution. Redd Remedies is a sponsor of the nonprofit American Botanical Council and is distributed to independent health food stores nationwide. Research published in the Annals of Allergy, Asthma & Immunology concluded that men who suffered from eczema had a lower risk of lung cancer and those having a history of asthma had a lower risk of stomach cancer. The researchers believe the hyper-reactive immune system of these sufferers may have enabled the elimination of the abnormal cells more efficiently. Data were collected on 3,300 men ages 35 to 70 between August 1976 and March 1986 who had been diagnosed with cancer and a control group of 516 people who did not have cancer. Using group data researchers determined whether there was a link between allergies such as asthma and eczema and the incidence of eight most common types of cancer. Although they were unable to identify which factors related to asthma and eczema were responsible for reducing the risk of cancer, the findings offered new possibilities for research involving immunological and molecular mechanisms that may eventually provide opportunities for prevention. In a study reported in the New England Journal of Medicine this month the researchers concluded “Our findings show that accounting for genetic ancestry improves prediction of normal lung function over the simple race-based classification. ” They continue on to say this may result in reclassification of the severity in many lung diseases including asthma. In the study of more than 3,000 patients ranging in age from 18 to 93 they found the precise genetic background was more useful than the self-identified racial profile commonly used in determining lung function and lung damage. Such knowledge is useful for diagnosing the severity of asthma and eligibility for various treatments. A new study published online in the American Journal of Physiology-Lung Cellular and Molecular Physiology concluded that the tiniest air pollutant particles incite inflammation deep in the lungs and may cause asthma flare ups. Because these tiny particles are primarily derived from vehicular emissions and found in high concentrations on expressways the researchers subjected half of a sample of mice to ultrafine pollutants from near a freeway in downtown Los Angeles and the other half breathed filtered air following exposure of both groups to surrogate allergens that would be similar to pollen exposure of humans. They found that exposure to air containing the untrafine particles for a few hours daily over 5 days significantly increased airway inflammation that correlated with changes found in the immune system and genes expressed. They observed the most profound inflammation deep in the lungs. Previously believed that asthma is dominated by a specific initial immune response this study showed that ultrafine pollution particles may also play an important role in triggering other paths of inflammation that increase the intensity of asthma. The researchers believe the organic chemicals coating the pollution particles released into the lungs may generate free radicals that incite the immune system of the lungs through oxidation that is known to contribute to allergic inflammation in the lungs of those suffering from asthma. Further research is planned on the particular chemicals boosting the effects of particular pollutants on the allergic inflammation and the immunological mechanisms.